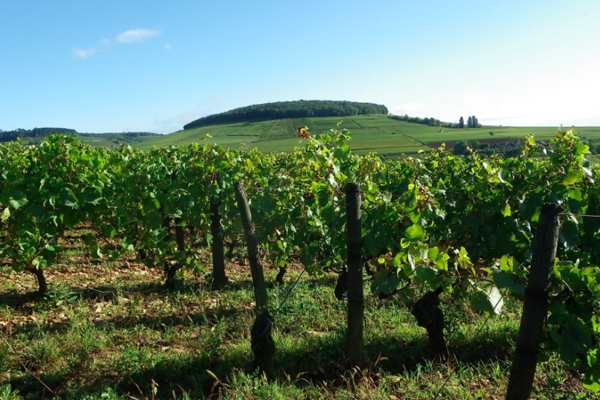 We all are experiencing the continuing supply and demand economics for Burgundy wines. There certainly are a lot more consumers (and especially collectors) chasing after and driving up the prices of a very limited amount of top rated small estate producers from Cote d’Or for Cote de Nuits & Cote de Beaune wines. 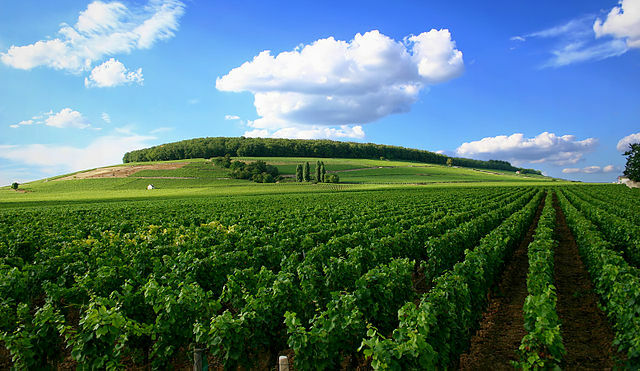 This cherished region has expanded more recently also to include Chablis to the north – especially those Grand Cru and best Premier Cru vineyards from key producers – and to the south for some much improved treasures from Cote Chalonnaise, Maconnais, and Cru Beaujolais. Often some wine critics and buyers tend to give more attention to the smaller estates and downplay somewhat the larger established ones – sort of like what has happened with the increased focus on grower Champagnes vs. the established big house labels. Certainly some of the long time negociants in Burgundy that also own substantial vineyards have developed well deserved excellent reputations for delivering very fine quality wines right across the board. Immediately coming to mind among others are such respected names as Bouchard Pere, Faiveley, Joseph Drouhin, Louis Jadot, and Louis Latour. However there are many more who are making fine tuning changes in their operations with a much better improved product worth checking out at still fair values. 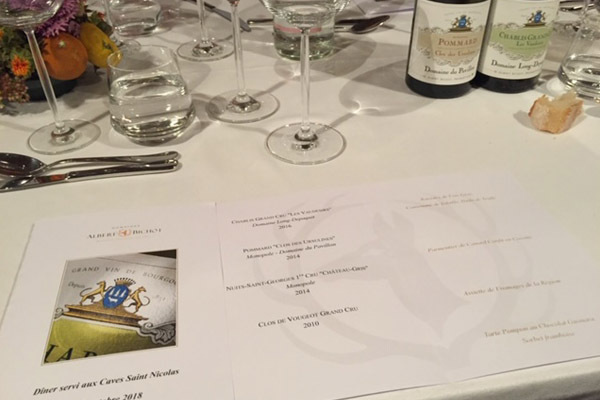 These thoughts all came back to me this past week at a trade tasting by the importer The Delf Group held in Vancouver on February 7, 2019 for Domaines Albert Bichot (founded in 1831) by their visiting knowledgeable Directrice Export Delphine de la Fouchardiere spotlighting 15 current releases from Village wines to Grand Cru. 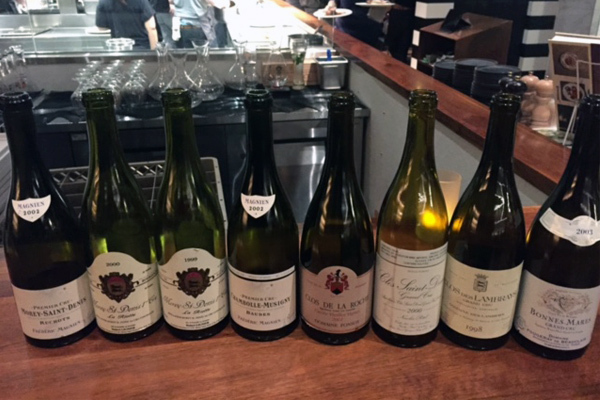 This followed on from an earlier tasting and dinner at their premises on the ring road in Beaune in early October of last year. They also have some interesting Climats worth discovering under their Domaine Long-Depaquit (Chablis), Domaine du Clos Frantin (Cote de Nuits including special Vosne-Romanee), Chateau Gris (Nuits-Saint-Georges), Domaine du Pavillon (Cote de Beaune), Domaine Adelie (Mercurey), and Domaine de Rochegres (Moulin-a-Vent). Enjoyed their fresh lively pure Cremant de Bourgogne a blend of pinot noir, chardonnay and gamay grapes but also have a lovely blanc de blancs cremant from only chardonnay. The lower yields from 2015 reds showed characteristic ripe seductive fruit (and stems) with full rich rounder tannins styling while those of 2016 that survived the severe frosts had fresh vibrant mineral acidity. Impressed by the values at the lower end plus the usually southerly leaner Santenay Les Charmes is all spicy ripe raspberries in 2015. At the other end for the avid collector that 2016 Clos de La Roche is the true terroir full of potential.